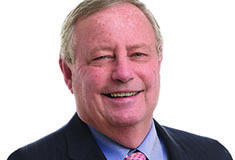 Woodbury, NY New York-based Triangle Equities has launched sales at Kensington Estates, a 55-and-over exclusive community. The sales office is located on the corner of Jericho Tpke. and Plainview Rd., and its opening comes on the heels of construction beginning in mid-December. The project team includes: Civil engineer, Nelson & Pope; architect, Glen Cherveny, GRCH Architecture; interior designer, Kate Singer Homes; engineering, Emtec Consulting Engineers; and environmental, Nelson & Pope. The exclusive and intimate gated community will feature 80 units on 18 acres of lush and meticulously landscaped grounds as well as amenities, including a clubhouse with a fitness center, yoga studio, lounge, billiard room and event space, as well as an outdoor pool and veranda, Har-Tru tennis court, and pond. Kensington Estates will be unique to the area, as new construction is often difficult to find in the neighborhood. The development is located close to country clubs, shopping, fine dining, and Long Island’s North and South Shore beaches and marinas. It is also easily accessible, with the Long Island Expressway, Northern State Pwy. and the Long Island Railroad minutes away. The nearby villages of Cold Spring Harbor and Huntington also offer some of the best dining, shopping and entertainment on Long Island. Shown (from left) are: Daniel Gale Sotheby’s International Realty’s CEO Deirdre O’Connell and associate broker Laura Zambratto; Evan Petracca, assistant project manager, Triangle Equities; and Elysa Goldman, director of development, Triangle Equities. Designed to appeal to the luxury buyer looking for a maintenance-free lifestyle, Kensington Estates offers a variety of layouts, from single-level Coach and Carriage-style homes to two story townhomes, all with master bedrooms on the main level, basements and one or two-car garages. Quality finishes include Subzero and Wolf kitchen appliances, oversized stone islands, great rooms with marble fireplaces, Carrera tiled baths, moldings throughout and oversized private patios. 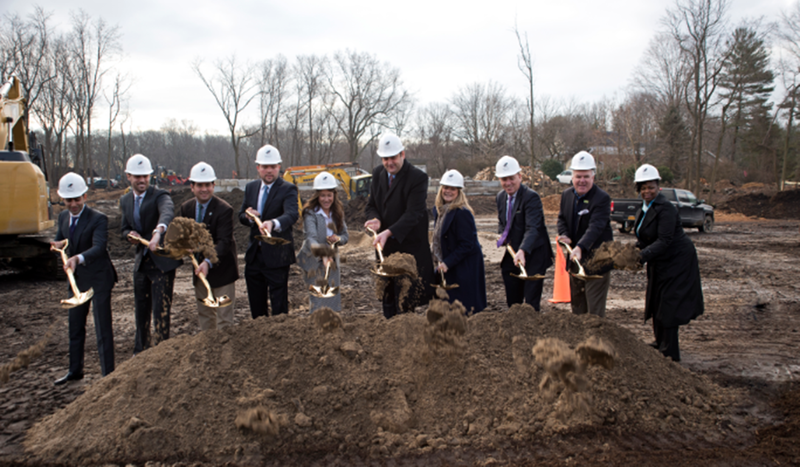 “The town of Huntington is proud to do our part to make the application and construction process run as efficiently as possible on projects such as this that will diversify our housing stock and provide a low-maintenance lifestyle to meet the needs of people at different stages of life. 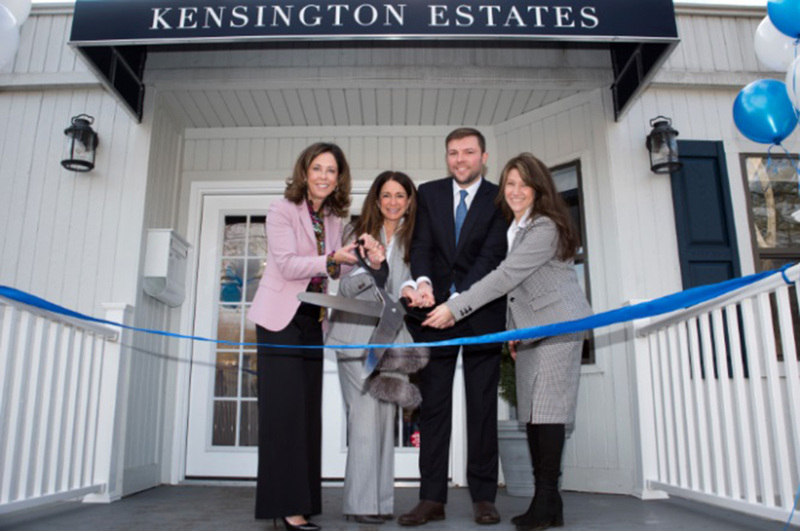 Further, we are delighted to offer our future residents of Kensington Estates world-class, quality of life-enhancing entertainment, dining, shopping and recreational attractions just minutes away,” said town supervisor Chad Lupinacci. Daniel Gale Sotheby’s International Realty is the exclusive sales and marketing team for Kensington Estates, with associate broker Laura Zambratto leading sales. The first townhomes are anticipated to be move-in ready by spring 2020.